The drawing format (DWG) is the native file format used by Autodesk's Autocad design software. It is used for storing 2D and 3D design information. Due to AutoCad's popularity as a software for computer aided design, DWG has effectively become the de facto standard for sharing CAD information. When to Convert PDF to DWG? You will want to harness VeryPDF's PDF to DWG conversion power when you receive plans or designs designed in CAD but that have been converted into a PDF document. If you need to change or edit the CAD drawing and you have the full version of AutoCad, the PDF to DWG will be your choice for conversion as it is able to retain a higher quality of information than converting to DXF. PDF to DWG Converter is ideal for converting CAD drawings, floor-plans, network diagrams and organization charts. It extracts editable CAD entities, layers, objects and text from any computer-generated PDF file while images from scanned PDF files are placed on a non-editable tracing layer. PDF to DWG Converter is available for Microsoft Windows System. Try PDF to DWG Converter free or send us a test file and we’ll do the conversion for you. It just takes one file to see whether PDF to DWG Converter will save you time and money. It’s easy to use yet has some powerful options. If you’d rather pass on the learning curve until you see how great it works on your drawings, then upload a file and we’ll do the rest. Try it either way today! By using smart object recognition technology, VeryPDF PDF to DWG Converter software is much better than our leading competitors, all arcs in PDF retain at right location and right shape. 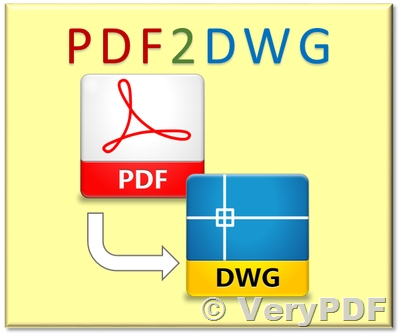 Convert PDF file to native DWG file. 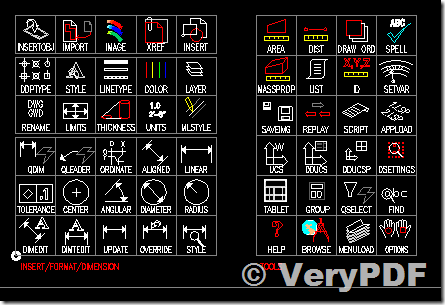 Import PDF file to AutoCAD directly. Generate DWG file quick and small. 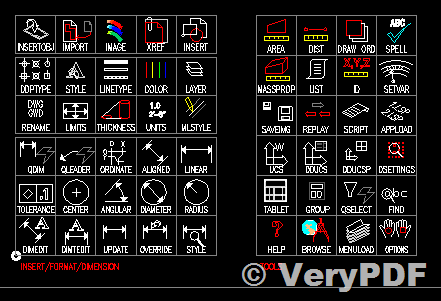 This entry was posted in PDF to DWG Converter and tagged pdf to autocad, pdf to cad, PDF to DWG, PDF to DXF. Bookmark the permalink.